Coming off the All Saints costume fiasco adventure, I should’ve dried my tears, looked around and decided that a purchased Christmas would be just fine. But I didn’t. Instead I dug in about THIS being the year to make the girls dresses AND bloomers because obviously it made sense. I mean next year I’ll be nursing a baby and will definitely not have the time or energy. Nevermind the same was true THIS Christmas AND my ankles swelled, my back seized up, and my pelvis went on strike. The show would go on! We did very little Black Friday shopping this year but we did go to Hancock Fabrics for their super sale. The lines! Oh, the lines. 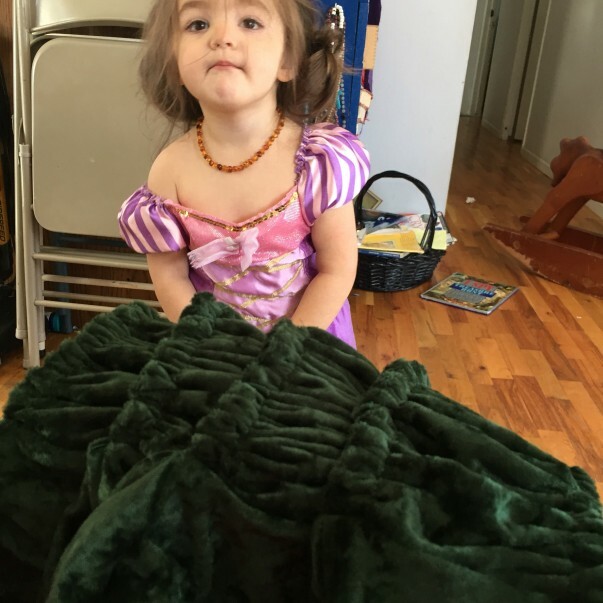 I knocked over a shelf of polar fleece with a cart loaded with fabric and little girls and set my purse down. When I realized my mistake, it was gone. My heart rate quickens just thinking about it. . . but God is good and an employee found it at the register so I was more than a little giddy when the cashier announced we had saved $130+. “Heck yes we did!” I hollered to the rest of the line, pumping my fist in the air for good measure. The fabric chosen for the dresses- a beautiful pine colored crushed panne velvet – was lovely on the bolt but a NIGHTMARE in every other sense. And the waist band – how about a matte black satin just to make things interesting? I wondered where Mama Syd’s good sense had gone to encourage such poor choices. She’s the one who taught me 1. 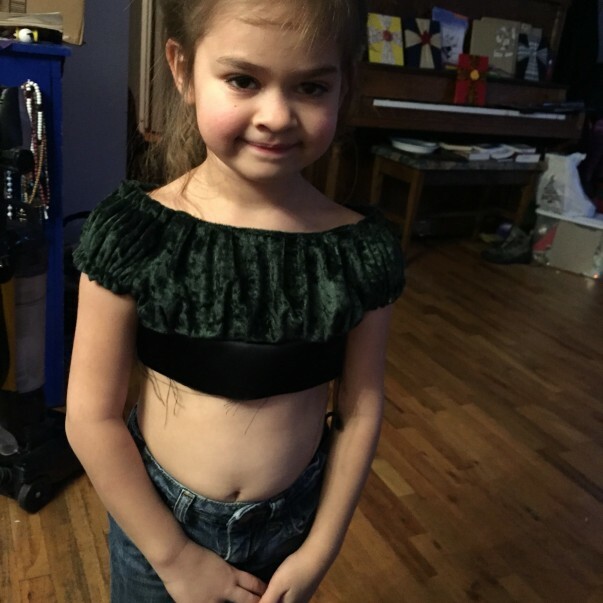 Never sew anything stretchy 2. Never sew anything slippery and 3. You’ve been warned. Sure, I’ve broken those commandments but never on such a grand scale with so much riding on it or four times over. Cutting things out started badly with me losing my temper and Jac calling me ‘Chris Reyes.’ Good times. Then he googled how to square up knits (because he’s a good man and really, really loves me and really, really hates the crazy), pulled out the 4 ft. T-square from the garage and we were on a roll. That’s when I realized we bought a few yards too many and that green fuzz would probably be the death of me. I took a few days to recover from the cutting and to steel my nerves for the stretchy sewing. And pleating. And repeat TIMES FOUR. I coaxed and cajoled my machine, stopping often to clean the green fuzz from her guts. We went slow – so very slow! – and I only had to pick two seams out. Victory was mine! I saw the Nutcracker for the first time when I was around 10 or so. 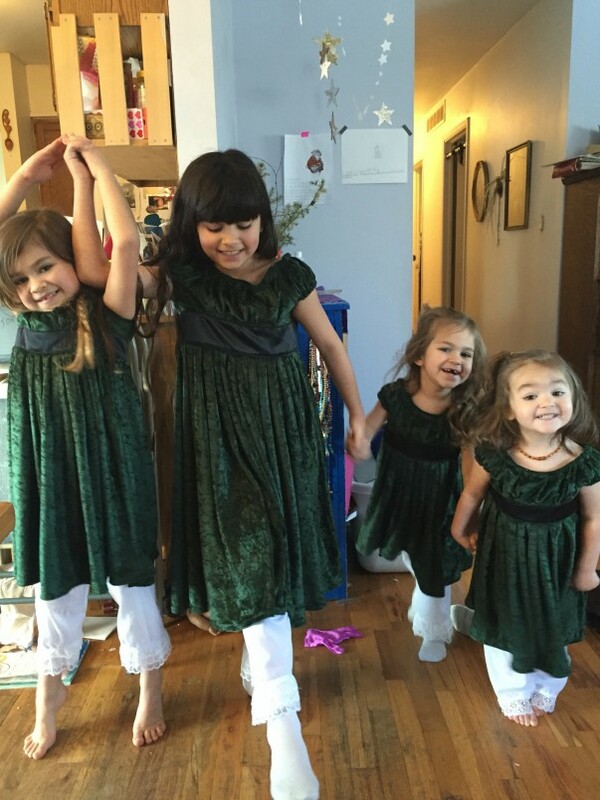 I loved the look of the bloomers with the party dresses and promised myself that if I had a daughter someday I would dress her in such a get-up at least one Christmas. Boom. 2015 was the year to live the dream! Gemma ABSOLUTELY flipped out at the thought. It bled into how she felt about the dress, too, and she almost went to Christmas Eve Mass in just her coat. 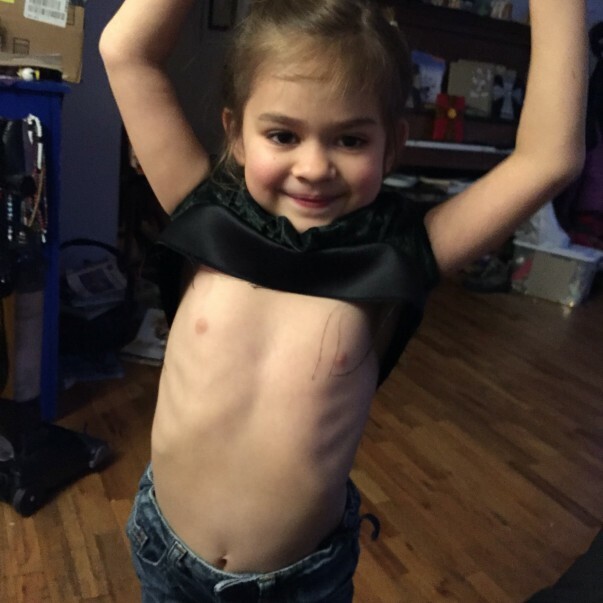 Thankfully, she recovered when she learned she could wear her new ballet slippers. Her sisters on the other hand, they were pro bloomers all the way. 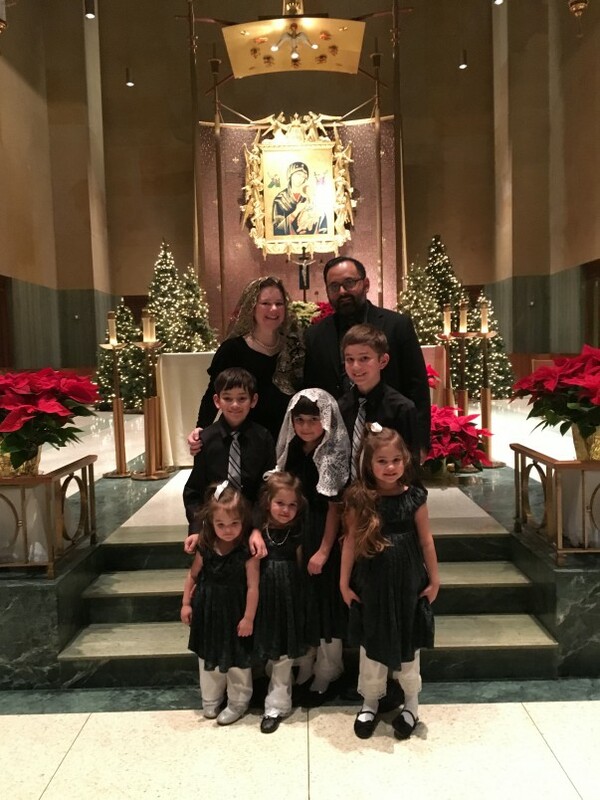 And they have asked me every Sunday since if they could wear them with whatever dress is up for the day. They testify to the comfort and I do think there is something about wearing essentially jammie bottoms under your fancy clothes. . . 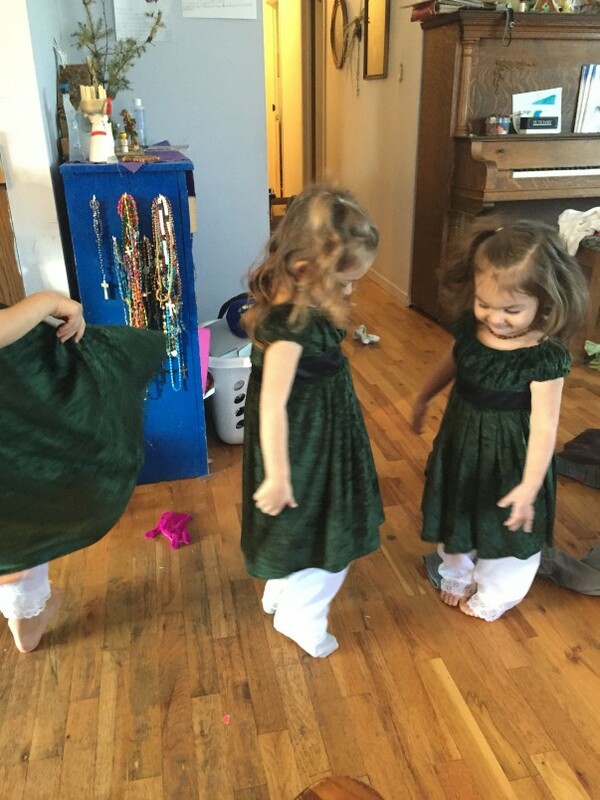 Donning the dresses in preparation for Mass, the girls spun and spun in the living room. 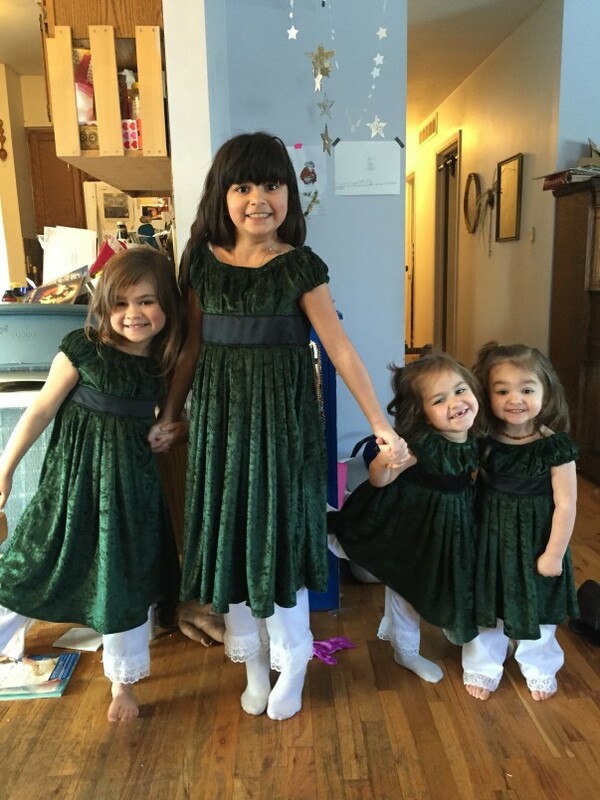 They were warned that there was no puking in the Christmas dresses. They laughed and spun some more, repeating the performance for the Bishop and all the revelers who visited in the front of Cathedral after mass was over. I swore as I sewed that I would never do such a thing again but you know, a few weeks out and it doesn’t seem so bad. It’s probably just the crazy talking. I used this pattern. It was simple, lined, and easy to follow. I highly recommend it! Annie you are a miracle worker. 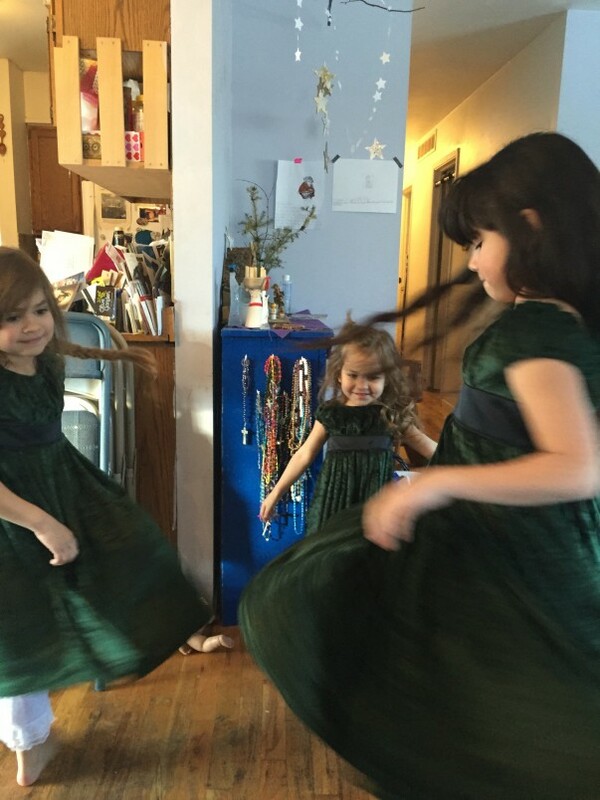 Those dresses…and the girls twirling around in them…you’re a memory maker. A miracle worker and a memory maker!